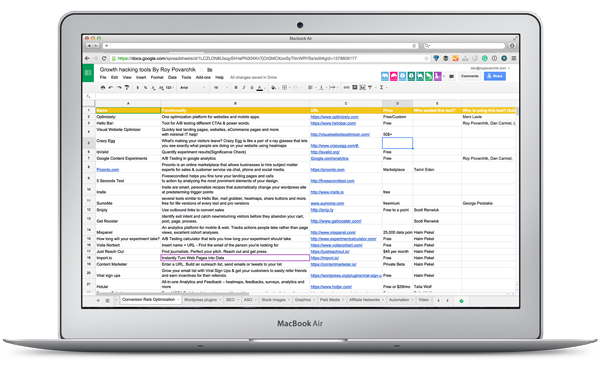 A public spreadsheet made for growth hackers worldwide. Search, add & recommend your favorite tools. P.S., Need help with your startup?